You are ALWAYS competing to have the next prospective client choose you. In fact, even with existing clients who are still deciding on whether to follow the next piece of advise, there is a decision being made about whether to choose to follow it…or choose “you” as it were. We are always competing for the next piece of business. There might not actually be another adviser in the competition, but there are all the other choices that we are competing with….do it themselves…do it differently to how you’ve proposed….do nothing…so what is the surefire way to sideline those other competitive choices and get the prospect to choose you? 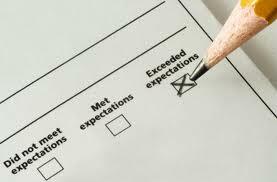 That immediately moves you into the realm of exceeding their expectations and creates a little “wow”. What Problems Do You Fix? What would be an example of this for a financial planner conducting a first meeting Tony?